Many people today are looking for the perfect place where the pace is a little slower, life is simpler, people are nicer, and the streets are less crowded. This is what you can find in Thomasville, Georgia. Located just slightly north of Florida, this quaint little town is just the thing if you are seeking a peaceful respite. Although Thomasville, GA has kept with the changes over the years, it has managed to retain some of the qualities in a town which make it simple and restful. A host to many seasonal festivals and other events, Thomasville is a great place to live a simple yet modern life. Starting off as a village in pioneer America, Thomasville, GA has grown and changed over the decades to become one of the least known, top destinations for vacationers, retirees, and young families. Beginning in 1825 with cotton fields as a huge part of the local trade make this town a real history buff’s dream. Progressive, yet rich in history and culture, Thomasville, Georgia is a culmination of progress and simplicity. In Thomasville, you can go crazy if you are a history buff, you can go do some fantastic shopping, go hunting, and visit local healthy farms for delicious hometown pork and dairy. 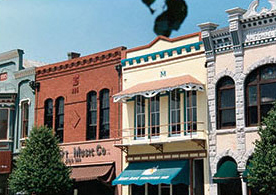 In addition to these amazing tourist areas, Thomasville, Georgia is a great environment in which to raise a family. Thomasville features multiple YMCAs, golf courses, tennis courts, a complex for playing baseball, football, soccer, and softball, and even a lighted walking trail. Thomasville, GA offers so much to the resident. The list goes on. Two colleges call Thomasville their hometown and the local schools, both public and private, offer just about anything the student could need or want to participate in. There are multiple churches to choose from here. In fact, there are over 100! The neighborhoods in Thomasville, GA are like they say the south is. The old saying about southern hospitality lives in Thomasville, Georgia. It is actually quite common for neighbors to help each other out in their day to day lives, even if that means to borrow one half cup of milk to make dinner for their family. The people here are splendidly nice and add to that the incredible beauty that the local wildlife and plant life bring to the picture, and you have yourself one incredible town. Whether you want an old Victorian home or a brand new town home, Thomasville offers it all.